One of the most popular discussions that you will see in the Google forums revolve around indexing and many people complain that their new content isn’t appearing online. It would be ideal if Google visited your site on a daily basis and content was instantly available in search engine rankings, but this will only ever happen if, and when, Google recognizes how great your site it. While you cannot forcibly improve indexing and Google’s crawl rate, there are some things you can do to get Google to visit your site more often. Before you look at the steps I have outlined below, make sure your site is actually indexed by Google. If not, you’ll need to visit Google and add it. The problem is that getting Google to index your site correctly and efficiently is not a simple task. Below you’ll find 4 tips that can help you with that. Google has a submission form that you can use to inform it about your new site. Don’t! The best way to get Google to discover and index your site is to get a backlink from a reputable website. This is more efficient than the tool because any spammer can use the tool, and they do! If you want more information on this topic, check out this article from Neil Patel detailing how to get Google to crawl your site . Good search rankings and organic traffic comes from two main factors: quality content and quality links. Lots of quality content and lots of quality links. Focus on getting links from related websites, and preferably from authoritative ones. A link from an authoritative website inside your niche is worth 1000 non-relevant links from smaller sites. You can’t improve what you can’t measure. If you want to improve your indexing and search rankings over time, you need to measure your performance over time. You could do it manually, but it would very time consuming. A better way to do it is to use a tool and automate the process. 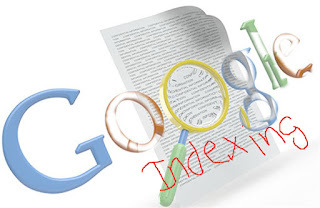 0 Response to "4 Simple Tips To Improve Google Indexing for your Blog or Site"